With a hit recipe and can-do attitude, two fledgling entrepreneurs want to play winner take all. Everyone has family recipes of dishes that are trotted out on regular gatherings and special occasions. While most people are content to keep their culinary creations within their circle, others see an opportunity to share them with the world--for a profit, of course. That\\\'s the gist of the story behind RC\\\'s Ribs, a startup that specializes in quality beef ribs. What makes them such a treat? That\\\'s a secret that 20-year-old Ringo D. Chan learned from his father, whose signature beef ribs have been a long-standing hit among relatives and friends. Hint: good ol\\\' Johnnie Walker Blue is involved. "From choosing the quality of the beef to combining ingredients, everything is special," explains Chan, who is an undergraduate student of University of Asia and The Pacific\\\'s entrepreneurial management program. His business partner, Francis T. Tanchoco, couldn\\\'t agree more. 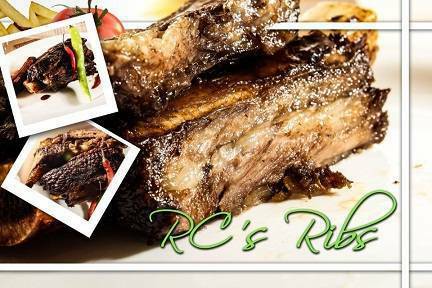 RC\\\'s Ribs, whose stalls can be found at Midnight Mercato in Bonifacio Global City in Taguig and Soderno in Alabang, is not just about business; it\\\'s also about passing on this legacy of deliciousness "to everyone who appreciates good food," says Tanchoco. "I\\\'ve also noticed that food is present in our everyday lives. It brings a smile to people’s faces, and people become grumpy when they’re hungry. So why not earn a living and make people smile all the time?" Having excellent taste buds and great intentions is all very well, but the duo are aware that this isn\\\'t enough to succeed in a highly competitive business. "The food industry has already tons of players, and finding a gap in the market can be very tough. Scanning the industry, we realized that while pork ribs are predominant, but beef ribs don’t get the attention they deserve," relates Tanchoco, who is in his late 20s. That\\\'s not to say, however, that RC\\\'s Ribs is dependent on the novelty factor to sell itself, never mind its whisky-inspired flavor. "We feel that the market is ready for a premium offering. Our clients are those familiar with beef ribs, and how delicate they are to handle," says Tanchoco. Aside from first-rate ingredients, the business is also "focused on delivering value for money." Customers who flock to RC\\\'s Ribs will have to pay more, but they can expect a hearty meal. "It comes with rice and a side dish as well. People don’t come to us to munch; they come to us to eat. They can satisfy their hunger with us, unlike with the others." In addition, clients who aren\\\'t content with the single-serving portions at the stalls can instead go for the "fiesta" option, which is available by order. Right now, RC\\\'s Ribs will stay with Midnight Mercato, but it plans to join around two more food bazaars. The move "will help us polish our internal processes, and at the same time gauge market reception in different atmospheres," shares Tanchoco, who is in charge of finances, procurement and business development. Chan, meanwhile, handles operations, marketing and social media. That\\\'s in addition to his school work, of course. Both of them see "The Next Big Entrepreneur" as more than just a competition. "This contest minimizes our exposure to risk, in terms of capital recovery and cash flow. At the same time, it maximizes our exposure to the actual market," explains Tanchoco, clearly in his element as the "money guy." Chan, however, has a very personal stake in gunning for the top spot. "Without this contest, we would have a hard time starting RC’s Ribs. My family is currently experiencing financial problems, and this serves as a motivation for me to do good and win. I believe this business venture is the answer."